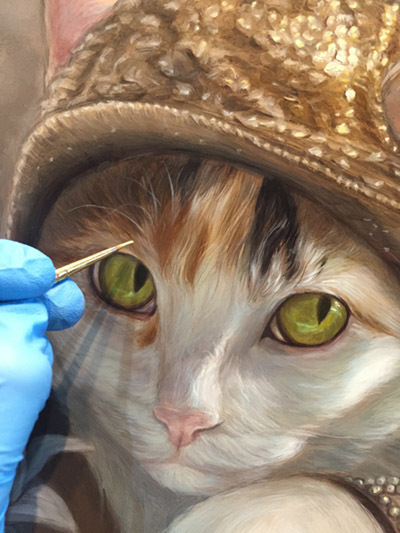 Sonya Palencia of Lord Truffles will be having a solo art show, hosted by The Copro Gallery! See below for her opening reception information that is open to the public! All hail "General Buckley"! The largest pet portrait we have done yet! To a completed 30"x40" portrait! Introducing: Lilly the "It" Cat! 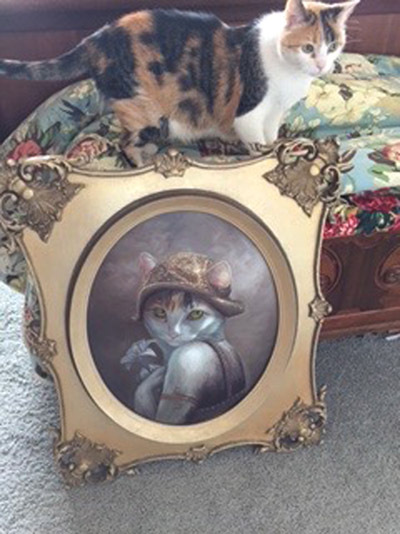 A wonderful client of mine, (and owner of my painting "What Bustopher Jones Saw") recently reached out to commission me to do a portrait of her cat Lilly. 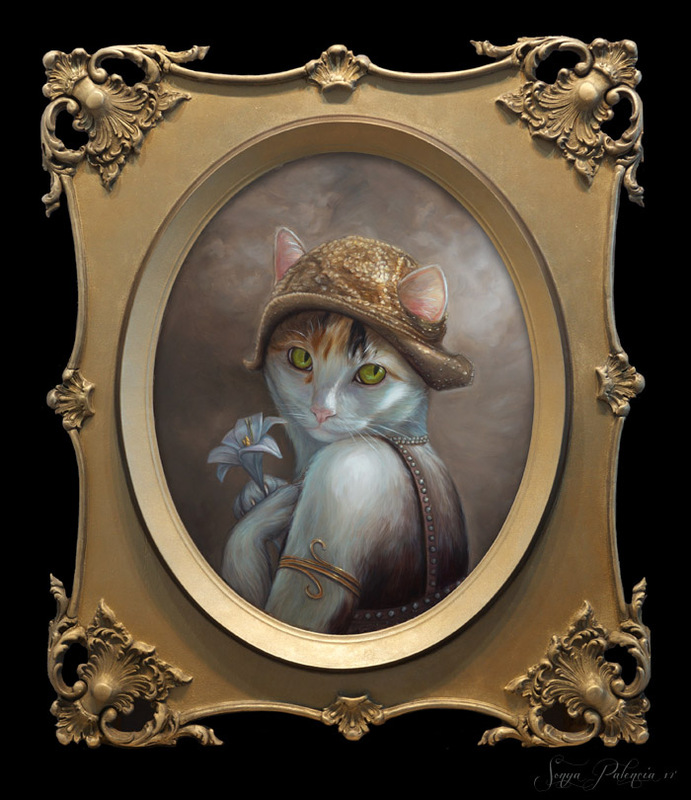 We decided that Lilly (an alluring patched ginger tabby) was to painted as a meow-velous roaring 1920's showstopper! So now we know what Bustopher Jones saw: "Hot diggity meow, ain't she sweet!" 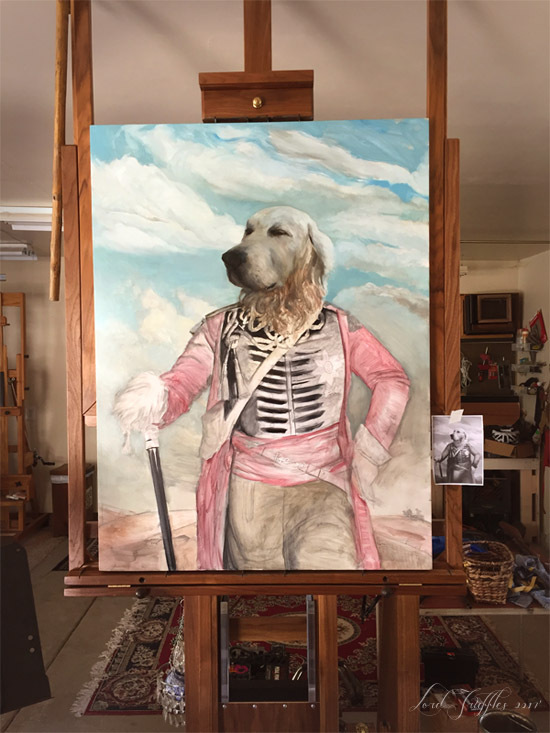 Lords Truffles Royal Pet Portraits featured in O Magazine! Lord Truffles is featured in the September 2017 issue of O Magazine in the "Creature Comforts" section! Thank you O Magazine for it's heralding of our Royal Court! Welcome to thee Official Lord Truffles Website! After almost 6 years on Etsy, Lord Truffles has established an official website! We look forward in being able to share our currents projects and various studio shenanigans!